Pentagon Orders Military To Prioritize Global Warming In All Actions, at hypeline.com. I can see it now. The military can’t act until they do an environmental impact statement. Government intervention makes everything more difficult. Judge Orders Discovery, Testimony From State Department On Hillary’s EMail, at tammybruce.com. Judge orders that Judicial Watch will be able to question Hillary’s staff under oath about her e-mails. Judge says there is “reasonable suspicion” that staff members tried to thwart the Freedom of Information Act. I find it hard to believe that a Clinton would stonewall, delay, and outright defy the law! There is no pattern of this, Is there? Read here, Hillary and Benghazi: Call In The Cleaners. Germany’s Looming Demographic Cliff, at zerohedge.com. Demographics is destiny. In a totally unrelated article, Germans Cheer As Refugee Center Burns, Crowds Stop Firefighters From Extinguishing Blaze, at zerohedge.com. Greek Attempt To Force Use Of Electronic Money Instead Of Cash Fails, at zerohedge.com. The Greek government will start to ratchet up the force to get people to use electronic money instead of cash. The carrot didn’t work, get ready for the stick. New Campus Social Justice Cause: Fat Liberation, at tammybruce.com. Fat studies courses are popping up at colleges. Students go into large amounts of debt to take these rigorous academic courses that every business wants their future employees to take. Fat studies is a game changer for these students. Why Women Pay Higher Prices For The “Same” Products, by John Dotson, at mises.org. The operative word is “same”. Just because a product may be similar doesn’t mean it is the same. Subjective value by consumers also contributes to price differences between similar (not the same) products. Since men and and women value things differently, price differences shouldn’t be a shock to anyone. The Economics Of Free Stuff, by Jonathan Newman, at mises.org. 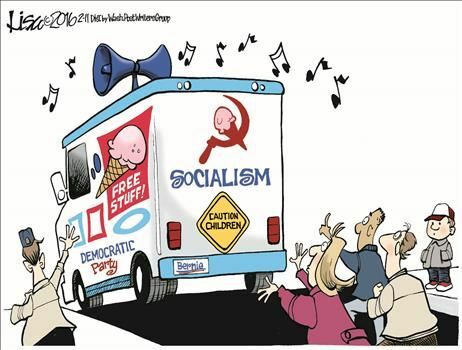 Free stuff costs somebody something. When government is giving out free stuff, who do you think bears the cost? Good answer! This entry was posted on February 27, 2016 at 1:32 am and is filed under Must Reads For The Week. You can subscribe via RSS 2.0 feed to this post's comments. 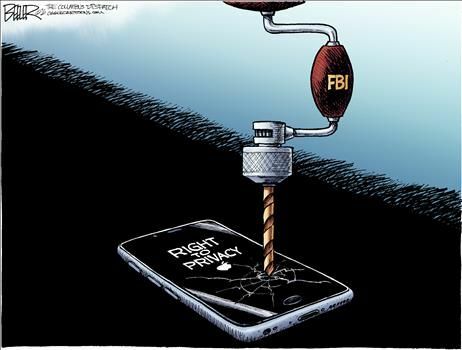 Tags: Apple and the FBI, Cartoons from The Burning Platform, Clinton Sanders And Progressivism, Economics Of Free Stuff, Encryption and Back Doors, Fat Studies Courses, Germanys Demographic Problem, Greek Forces Use Of Electronic Money, Hillary E-Mail Depositions, Judicial Watch, Military Prioritizes Global Warming, War On Cash, Women Pay Higher Prices?